Mr. Sutton is a Campaign Consultant for Kirby-Smith Associates, a company founded in 1938 as a Ministry of Church Finance. In this capacity, Mr. Sutton is responsible for capital, budget, and debt reduction campaigns, along with stewardship development programs. 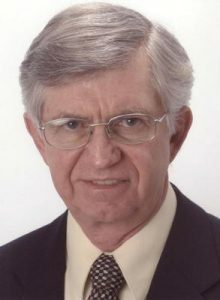 Bill, a native of Illinois, earned his Bachelor’s Degree in Business and Economics from the Wisconsin State University System at Platteville, Wisconsin in 1967 and a Master’s Degree in Economics from the Northern Illinois University in 1971. His career includes working at several colleges and community colleges, both public and private, since 1972. In December of 1982, Bill came to Kutztown University as the Executive Director of the Kutztown University Foundation and became the first full-time director and employee of the Foundation. In 1988, a new division called the University Advancement was created and Bill was asked to serve as the Interim Vice President for Advancement, which included the areas of the Foundation, Admissions, Public Relations, Cultural Affairs, and Development. He was appointed Vice President in 1989. Mr. Sutton also served as the senior development officer within the Pennsylvania State System of Higher Education and served as President of the statewide Vice President of Advancement Association. In the 24 years that Mr. Sutton was at Kutztown University, the university saw much growth and expansion occur. The Foundation had assets of slightly more than $65 million, built three residence halls, acquired 16 different real estate properties, and had a scholarship endowment of approximately $14 million. The Kutztown University Foundation has been among the leaders in the State System in terms of innovative activities and growth.